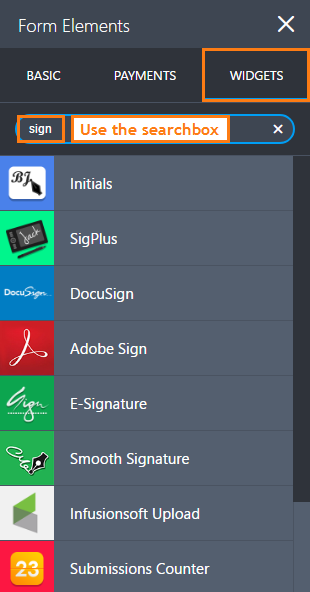 Back in 2013, we introduced E-Signature Widgets that you can add to your forms. If you're looking for a way to add a field that allows your respondents to sign the form right before submission, we offer a variety of widgets that you can choose from. So, what kinds of forms may need E-signatures? E-signatures can be used on contract forms, application forms, registration forms, online petitions, forms that require terms of service agreements, non-disclosure agreements, incident reporting and human resources forms. 1. Go to the Form Builder. 2. 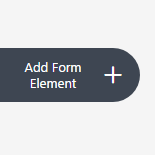 Click the ADD FORM ELEMENT button on the left. 3. Go to the WIDGETS tab and use the SEARCH box. 4. Then drag your preferred signature field to the form. E-signatures are legally binding on almost all countries and states, but we still recommend consulting with your lawyer. JotForm records the IP address and time of the signature made so that also provides additional confirmation about the signer of the document. Questions? Don't hesitate to post them in our Support Forum. I want to intergrate the form on my website. When a fo m is submitted and I save it to print, it does not show the signture? Does the signature function work on mobile? Having some trouble. I'd love it if I could actually get it to work for me. How can I create a form with a "click to agree" to terms and conditions?